I enjoy projects where I can be hands-on with stakeholders in creating applications and websites that would meet their standards and satisfaction. By holding multiple meetings with the clients, I was able to ensure their happiness and that I was producing work that includes all their requirements for a successful website. I conducted research around the city by gathering feedback from potential clients on what they need from a website to successfully book a therapy session. From my findings, I understood that most users want a simple and user-friendly platform that easily displays services, a section on how to get in touch with the company to book a session, and where to find the location of the business once they have scheduled an appointment. Research/Strategy Understanding competitor websites and conducting user interviews to understand what is needed and wanted from a webpage. Also having weekly stakeholder meetings to ensure goals and requirements are being completed. Ideation Creating a sitemap and understanding the structure of the website. 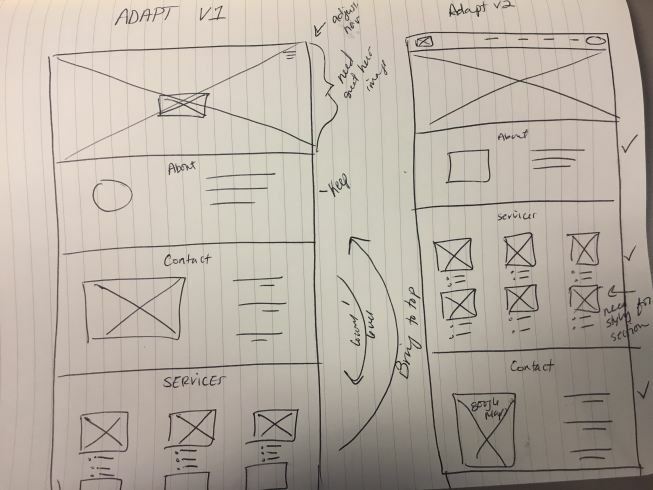 Design Begin constructing low fidelity and high fidelity wireframes to share with stockholders. User Research Gather user feedback from live website launch and reiterating website design and content to ensure sufficient work is produced. Post Launch Ongoing maintenance and updating of website whenever the stockholders need adjustments. 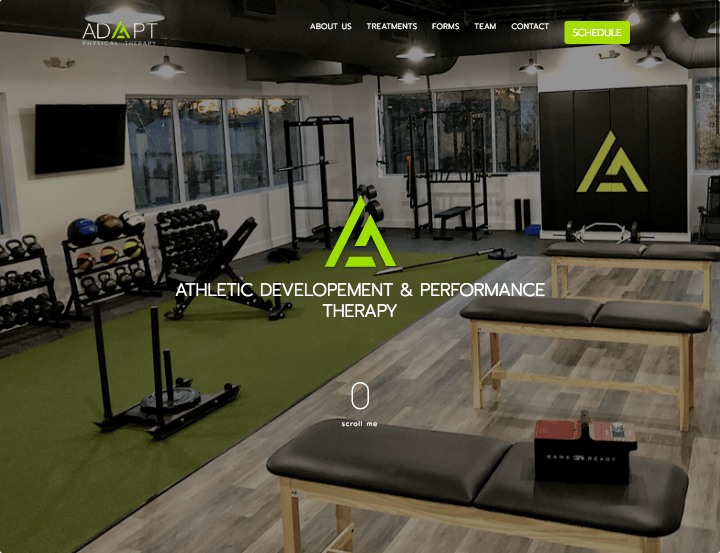 I worked closely with Adapt to understand what style was needed to ensure the right brand message was displayed on the website to promote success. 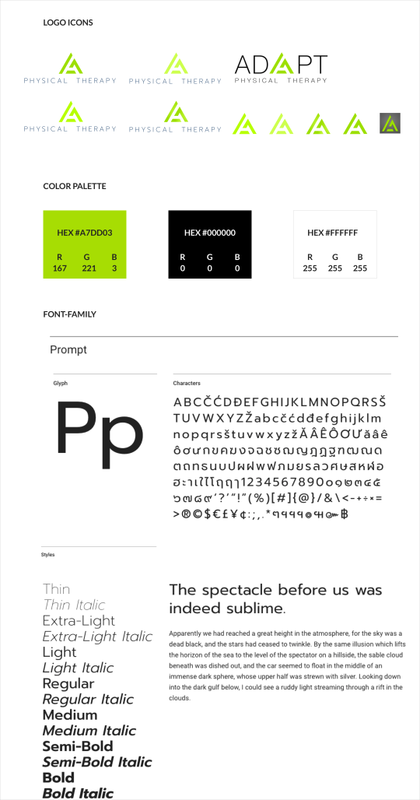 We initially discussed the style guide and needs they wanted implemented including color scheme, fonts, and logos. 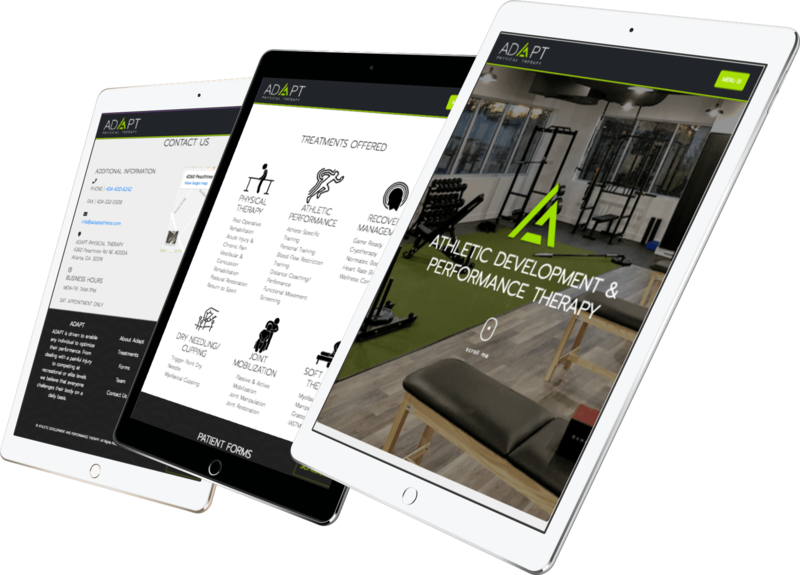 We also discussed the responsiveness of this website, understanding that majority of clients will be using handheld devices such as phones and tablets to navigate and schedule appointments. I then concluded that using Bootstrap 4 would be most efficient, since it offers easy-to-use and responsive components. By working on the mobile versions of the application, I was able to confirm that the styling and usability of the work would be successful on a screen typically smaller than a desktop. 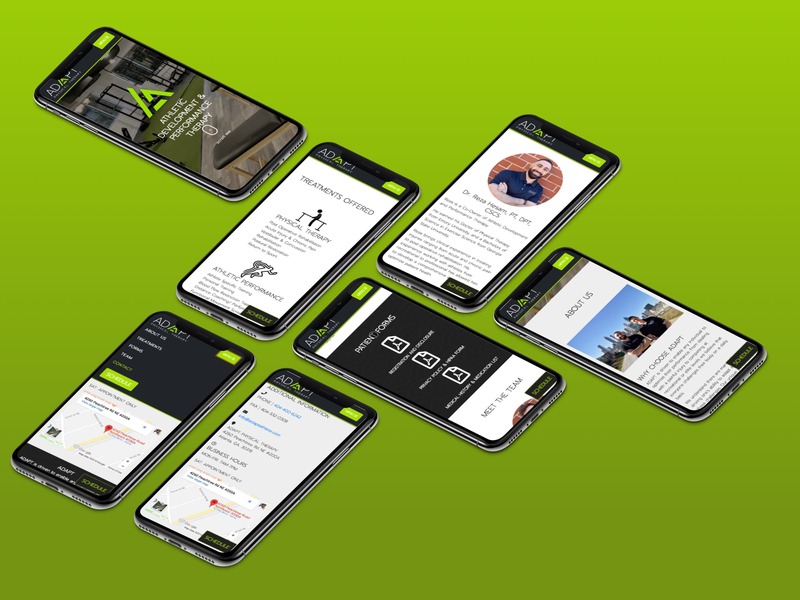 Implementing the designs and responsive components of the mobile pages ensured that the site pages would perform successfully on devices of all sizes. 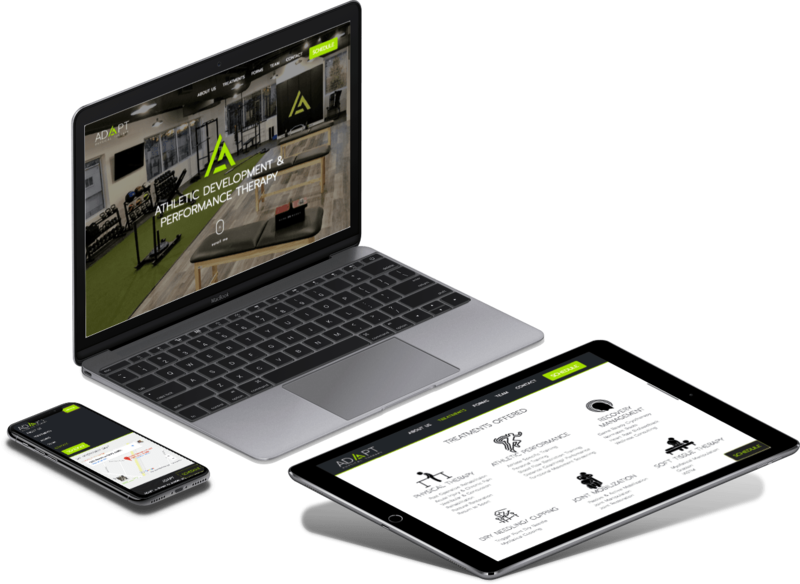 The result is a simple yet modern landing page that delivers all the necessary components a consumer can use to navigate the website and know what services Adapt offers as well as how to contact them and where to find them. 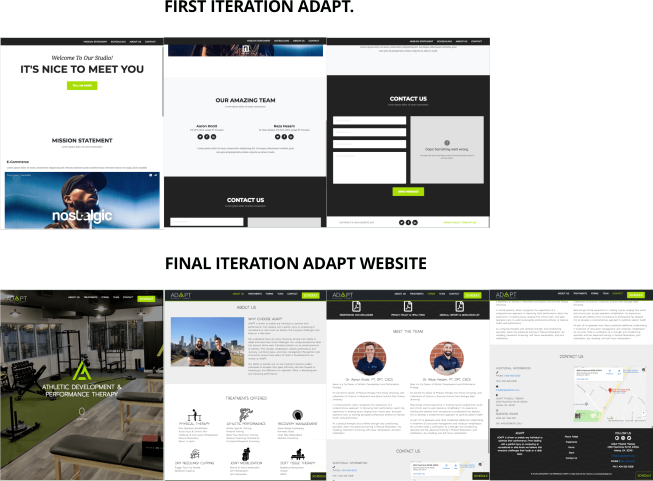 Additionally, I created a style guide for the Adapt team to use for further developmental work and other content sections that can be created for the expansion of their brand. Early on, the content hadn’t been refined and the desires of stakeholders were continuously changing. I attempted multiple designs with different layouts and usability. After determining the content needed for each page, my next challenge was placement. Knowing where each section of information should be on a site is crucial to the success of the landing page. This makes the user experience more friendly and welcoming to new patients during their discovery. I tested multiple design flows by moving the content around until I finally found the perfect mix that also satisfied site testers. Experimentation concluded that the most convenient, efficient, and successful way to gain more patients is by pushing their services to the top of the page, where clients can see first-hand what the business has to offer.